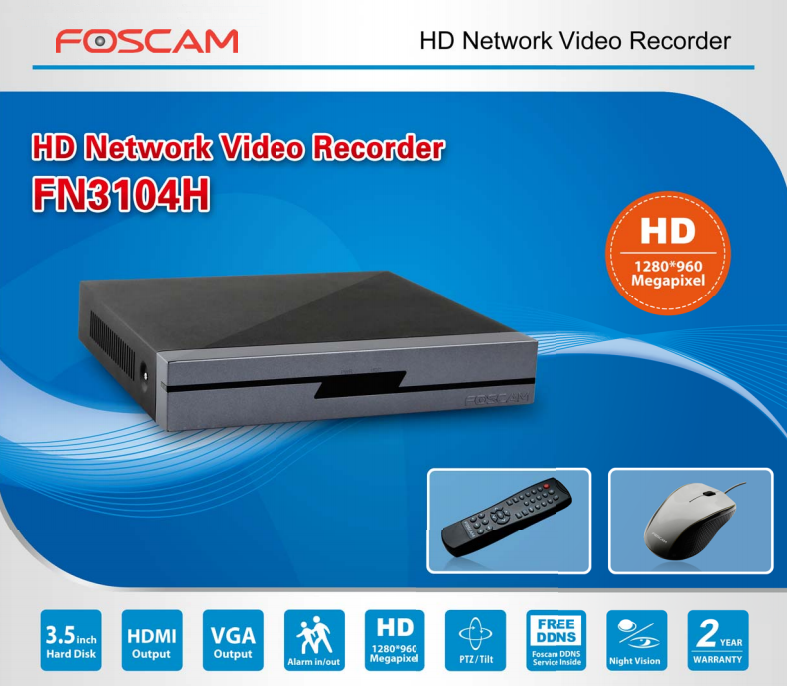 - The Foscam NVR is not supplied with a HDD. 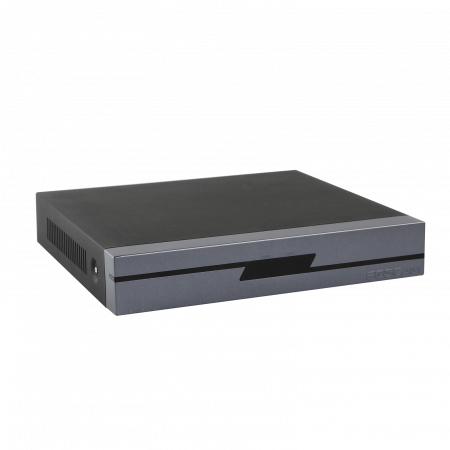 The Foscam HD NVR FN3104H is designed for small and medium video surveillance systems. 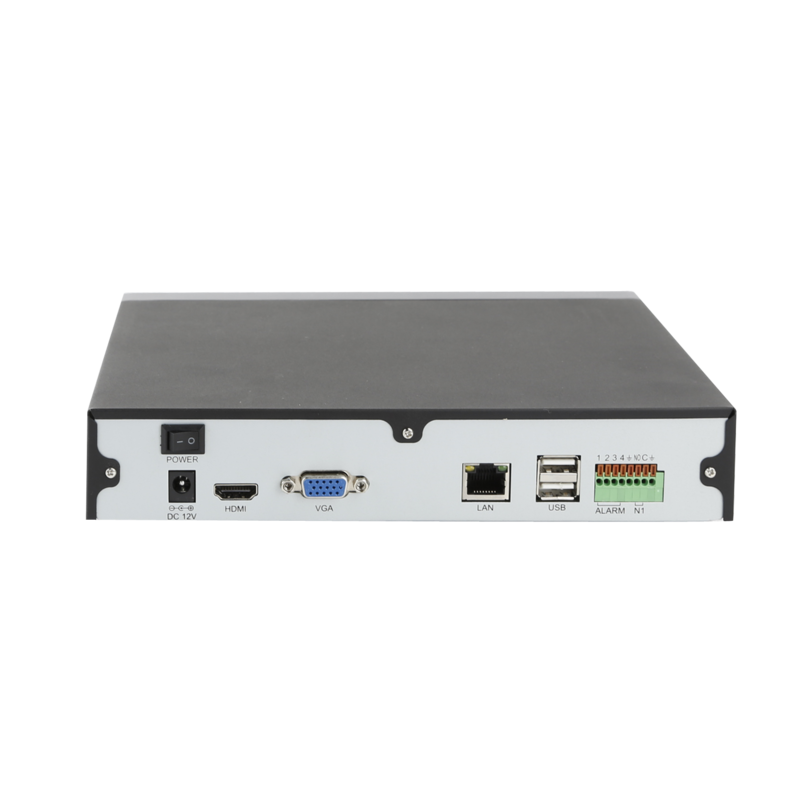 Featuring an easy setup procedure, you are able to have a 4 channel camera system configured in minutes. Additionally the FN3104H supports one 3.5 inch hard disk drive up to 4TB. It is possible to store approx 14 days of continuous recording with 4 channels running 720p at 30fps. 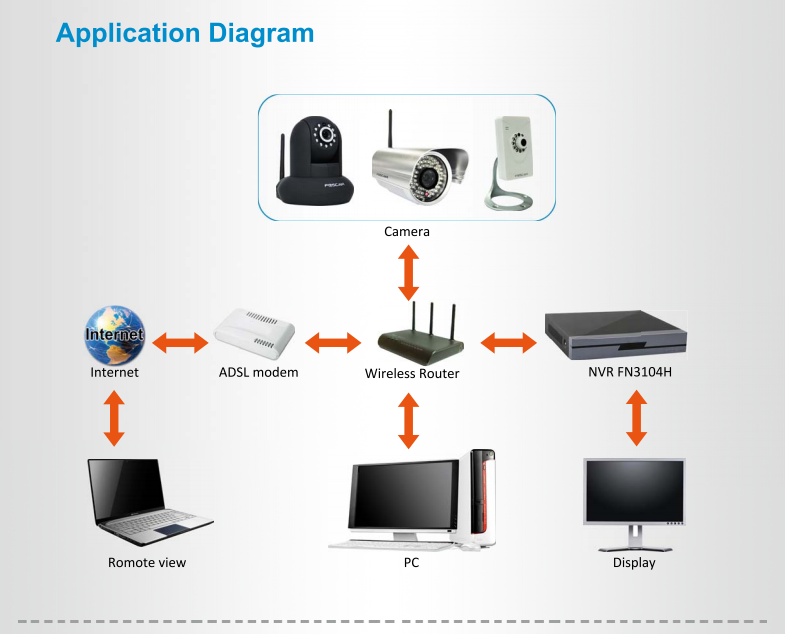 Motion detection will vastly increase the storage duration of recordings. 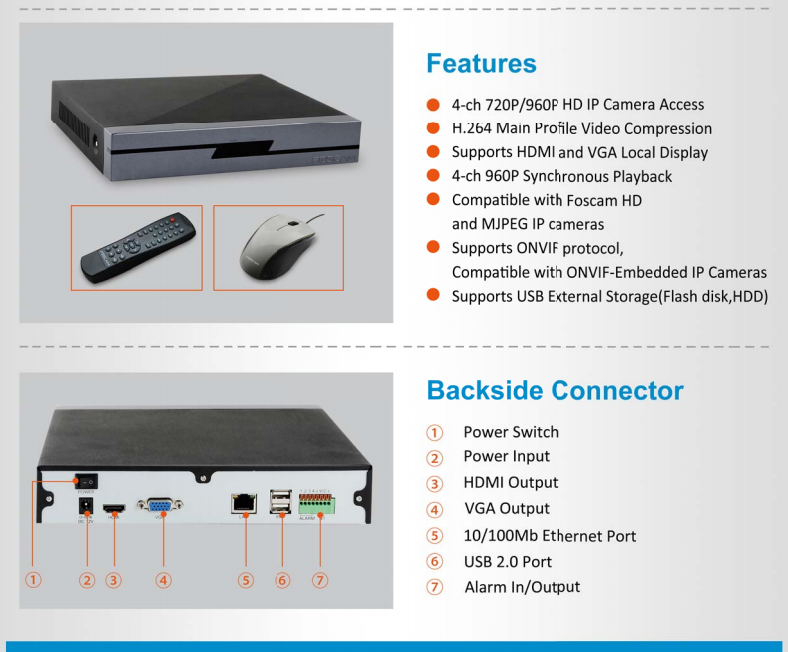 You may access the NVR either via browser locally or remotely, and directly by a VGA/HD monitor. ✔ Internet Explorer, Firefox, Safari (MAC) browser supported.